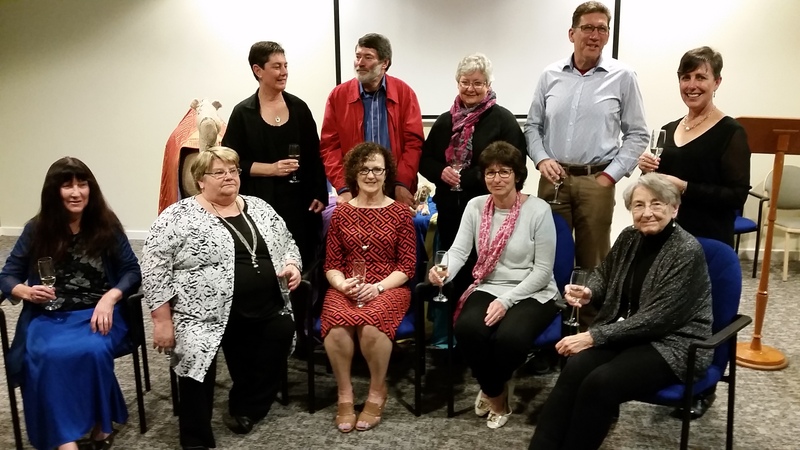 This year’s round of pre-conference review committees was held at the Seasons of Perth hotel, and altogether ten supervisors at various levels of supervision presented for review. As a general practice, ANZACPE typically takes responsibility only for Level II (or Clinical Pastoral) supervisors. This year, however, two Level I (Pastoral) Supervisory and Level III (Clinical Pastoral Educator) reviews were also held as part of the pre-conference activity. Each candidate was successful at their particular review, with each committee recommending that they each be accredited or re-accredited at the level for which they presented. Those recommendations are now forwarded to the respective candidates’ Associations, who then make the final decision regarding accreditation or re-accreditation. Rear: Annie Pfeffer (Level I – Qld); Eric Cave (Level III – Tas); Robynne Malone (Level II – SA); Geoff Flynn (Level II – NSW); Cathy Brown (Level II – Qld). Front: Rosemarie Say (Level II – NSW ); Val Henderson (Level II – Vic); Bernadette Wurlod (Level II – Vic); Helen Vester Level I – WA); Barbara Howard (Level II – NSW).